Thank you to everyone who came out and participated in the Earth Day Celebration in Purcell Park on April 22, 2018! Notably among the attendees was Daily News-Record reporter Kelly Clark. We found her nice work on the front page of the paper the very next day: An Earth Day Birthday: Group Planted Black Gum, Swamp Oak Tree. We’d also like to thank Mayor Deanna Reed for graciously attending and sharing her thoughtful comments with us. We’ve posted her remarks here. Harrisonburg Landscape Manager Mike Hott, with support of the Department of Parks and Recreation, did a wonderful job of facilitating the tree planting and guiding us on an educational tour of trees of Purcell Park. We hope to watch the pond-side swamp oak and black gum trees prosper for years to come! 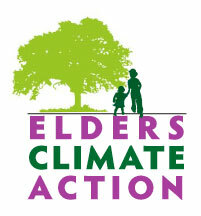 The Climate Action Alliance of the Valley invites you to celebrate Earth Day, Sunday April 22, with them. Bring your picnic basket and come to Purcell Park, Shelter #3 close to the pond, at noon to eat and visit with friends. Stay to hear the comments by Mayor Deanna Reed and plant two new trees (holes already dug!) Then you can take a hike, go on a tree ID walk led by Mike Hott, certified arborist, play Frisbee, or check out the playground with your kids. Or you can just sit, soak up the sun, and enjoy Mother Earth on Her Day. Rosie Lynch masterfully emceed the afternoon’s activities. Anne offered some wise words before helping to plant the black gum tree. Climate change activists are fighting battles on many fronts. There are 10 new pipelines on the East Coast alone, either proposed or under construction. The Federal Energy Regulatory Commission (FERC) is in the hands of gas and oil supporters and the Environmental Protection Agency (EPA) is run by a climate denier. My husband Charlie and I went to Charleston, West Virginia, to attend the EPA’s public hearing on their proposal to repeal the Clean Power Plan (CPP) knowing it was a sham but reluctantly thinking it was the right thing to do to support the counter event, Hearing for Healthy Communities sponsored by the Sierra Club. We went to both and as always, it is enlightening to be in the middle of people who care and speak out against the huge odds of overpowering money, greed and influence. We were shuttled by Sierra Club representatives from the University Of Charleston where their hearing would start in the afternoon, across the Kanawha River to the gold-domed state capital where the EPA held its hearing. We immediately came upon a press conference of the United Mine Workers of America with 20 members standing behind their legal team. They are against the CPP stating that good jobs and pensions will be lost and jobs in the renewable energy sector will not be as high paying. They acknowledge climate change and want a different CPP that would ensure the future of coal. It was impossible for me to get the details of their proposals but I felt sad that they were seeing renewable energy as the enemy instead of the lack of a just transition that would protect their incomes. Inside, three concurrent hearings were in process and we listened to one for about an hour. The PA system was poor but people methodically read their 3 minute prepared speeches. A representative from the Natural Resources Defense Council told Charlie the next day that the testimonies were running about 80% against repeal. People came from all over, even to the remote center of coal country. We shuttled back across the river for a nice buffet lunch provided by the Sierra Club and then heard an expert panel tell of the health impacts of coal. Two representatives from latino organizations started off stressing environmental justice issues. One, from Green Latinos, stressed the importance of informal testimony that we all do every day and that people believe what they are told more than what they read. The League of Latinos stated the projected cost of Hurricane Maria to Puerto Rica is $200 billion and that it is possible to have both a healthy environment and economy. The next four panelists were a Georgetown University professor of Public Health Nursing, a representative from Healthy Downstream Strategies based in Morgantown, WV, the N.Y. Attorney General’s general counsel, an activist from Upshur County, WV, and a representative from the Union of Concerned Scientists (UCS). The last, Jeremy Richardson, was a brother, son and grandson of WV coal miners. Their points were that the CPP is doable as proven in the Regional Greenhouse Gas Initiative (RGGI) states, and necessary to lessen climate change; that the EPA needs to go further and address fracked methane gas which isn’t addressed in the CPP; WV has no large scale solar and is near the bottom of state rankings for energy efficiency and life expectancy; the UCS stance on nuclear is nuanced, based on each situation; the Rockefeller Fund has done good work with job retraining in coal communities. Testimony from the public followed with 30-40 people stating the reasons repeal is repugnant, including a 12 year-old boy. I am happy he is being taught to do public speaking at an early age. I used to be critical of children speaking in similar settings but now think it’s important for their experience and for the rest of us to have a face of the future right there. The next morning, all of the transcribed testimonies from the Hearing for Healthy Communities were delivered to the EPA representatives, after a woman from Harlan County, KY, gave her testimony on how coal has devastated her family’s health. Another man, representing Energy Efficiency for All (EEFA) which is supported by NRDC, stated the CPP is needed to fund programs that would be a lifeline for poor families and a smart investment that creates local jobs, eliminates the need for expensive new power plants, reduces pollution and saves money for taxpayers nationwide. As we were leaving I had a conversation with an EPA employee who was working at the registration table. She works at the EPA office in the research triangle in North Carolina. We talked about the need of faster change and of thinking about how inside EPA information could be important in this. She was not condescending and emphasized that there are many in EPA who ‘get it’ and are trying to strategize their effectiveness. There were 100+ at the Hearing for Healthy Communities. I applaud the Sierra Club for organizing this event that brought the press to educate the public and that gave courage to those who attended. Thanks to everyone who participated in this fundraiser! Together we are supporting Resilient Power Puerto Rico with close to $3500.00! For years the Climate Action Alliance of the Valley has championed bringing solar power to the Valley for people who could afford it. Now we want to help bring it to hurricane ravaged communities in Puerto Rico that can’t afford it but are still left in the dark without power after Hurricanes Irma and Maria. This fundraiser will raise money to give to the marvelous group, Resilient Power Puerto Rico (you can read all about them below). Join us at The Golden Pony to lift a glass, eat some food (the Pony will donate 20% of your food and drink tab), and write a check to make a real difference. 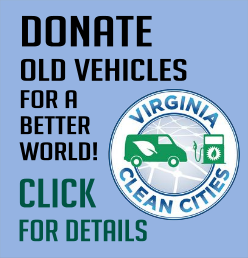 You might even win a door prize from The Sierra Club Shenandoah Group and others (all donors will be entered for the chance to win). You will also hear first-hand from a neighbor what her family in Puerto Rico has been facing during this difficult time period. Whatever you do, you’ll leave knowing you’ve made a real difference in the lives of American citizens who are facing a long road back to recovery. If you cannot attend, please donate at ResilientpowerPR.org. You can also visit their website to read more about this organization’s work to steadily bring community-owned solar power to Puerto Ricans over a 4-year strategic plan. On October 22, the Buena Vista community center in San Juan, Puerto Rico, switched off one of the many noisy generators that has become an inescapable part of life since Hurricane Maria devastated the country on September 20. For the first time in weeks, fans turned through the blessed silence. A refrigerator hummed and lights glowed. This small miracle in an island staggering to recover was powered by a 5-kilowatt photovoltaic solar array. It was the first installation by an ambitious nonprofit called Resilient Power Puerto Rico that aims to rapidly restore electrical service by installing permanent solar arrays on the island, which lost almost its entire grid to the hurricane. Full restoration of the electrical system could take years. The … (group is) targeting community facilities including health clinics, food kitchens, and nonprofit service providers, to increase each installation’s impact. The group raised $150,000 in days, permitting rapid deployment of solar panel and battery pack kits to the island. Community centers in Puerto Rico, such as the long-established Buena Vista in the Caño Martín Peña area of San Juan, play a critical role in storm recovery. Each serves from 20,000 to 50,000 people. Volunteers share information, help storm victims apply for aid, and give out tarps, food, medicines, and other necessities. The PV arrays charge phones and operate computers, water purifiers (since all the reservoirs are polluted), and refrigerators that store medicines and make ice. With battery packs supplied, … the centers can operate on three shifts if they want, … since volunteers are abundant. (The partners behind Resilient Puerto Rico) expect the development of solar hubs to grow rapidly, linked together to form microgrids that could mix solar with other renewable sources. The road to energy independence could be a source of skilled jobs—sorely lacking before the storm—as well as a clean-energy alternative that can survive future hurricanes. * Co-founder of Resilient Power Puerto Rico, Jennifer Bolstad offered this clarification on November 9: The initial sites cost around $6000 each, mostly due to transport costs, but the later work will be closer to the $25,000 mentioned since they’ll be hiring and training a labor force. She added that their crew of volunteers from here is already on the island, 79 additional sites have been scoped out and are ready to go, and two containers of supplies for the rest of the 1st phase has just landed. She was really excited and really appreciative of our efforts (and happy with the election returns).